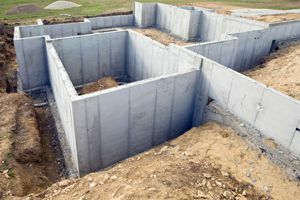 Comment: I would like to get an estimate for Customer is building a new home and wants a concrete block foundation. Comment: I would like to get an estimate for installing a french drain. This is in the budgeting stage. Comment: There is a crack on wall between front door and porch light, also, some cracks on cement slab floor of entrance into front door. Comment: I noticed my crawl space had some water in it. There is a barrier in there a new one. The house was built in 59' I am interested in waterproofing my concrete block foundation and discussing water displacement away from the house. Nashville Foundation Contractors are rated 4.79 out of 5 based on 303 reviews of 24 pros. Not Looking for Foundations Contractors in Nashville, TN?